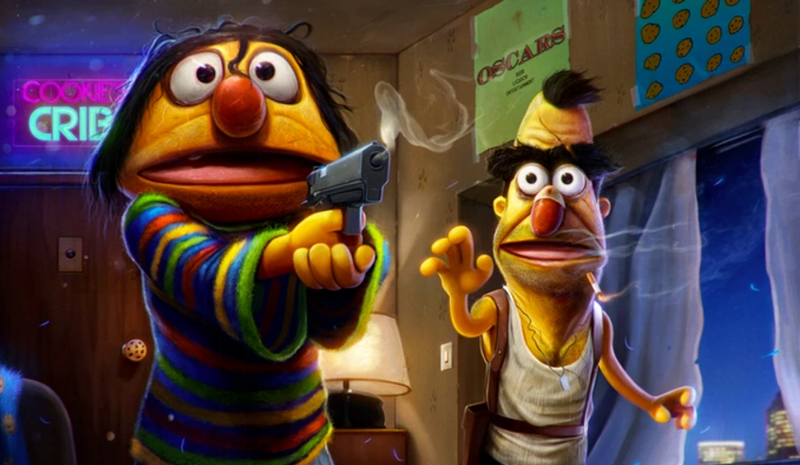 We’ve followed artist Dan LuVisi’s trippy, twisted, surreal takes on popular characters for a while. Now LuVisi’s collection, Popped Culture, is on Kickstarter. Let’s take a look at some of the magnificent ways he destroys everything you once held dear. LuVisi’s Kickstarter has only been live for a few days and is already fully funded, so Popped Culture is well on its way. In the past we’ve said that LuVisi “has a knack for turning treasured childhood memories into high-octane nightmare fuel.” With Popped Culture, LuVisi is in top form. You’ll never be able to look at Pikachu the same way again. Popped Culture will feature 68 pages of art by LuVisi and guest artists, along with stories of their creation. It seems like an excellent book to have on your table to intrigue and terrify unwitting guests, but maybe keep it from the kids if you ever want them to sleep again. Frankly, I’m a little worried about my own dreams tonight.